I think we’d have to challenge that assumption given that so many of our members clearly love a change and embrace challenge with enthusiasm. Even in life’s darkest moments, other members use humour to cope, to conquer, and to overcome. We are all, “Universally Challenged,” and thus it is essential that we have strategies and plans in place to cope with whatever life throws at us, our businesses, and our families. With that frame in mind, let me share the flow of content we had at Solent. Sarah Butler encouraged us to take control of what we can control, develop a disaster plan, and mitigate against the kinds of unwelcome changes that are beyond our control. When the challenge comes, we’ll be ready! Ian Skinner urged us to run towards challenge – at least to Base Camp – and stretch our capacity to reach peak performance to new and BIGger heights through mentoring. 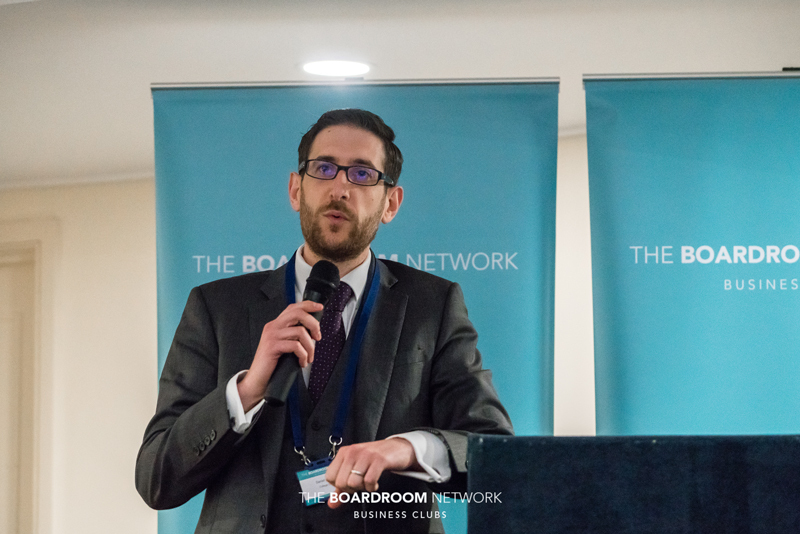 Daniel Piddington called us to action, inviting us directly to join the fun quiz night with a serious side – to raise funds for those who are facing the worst kinds of challenges and who need our help. 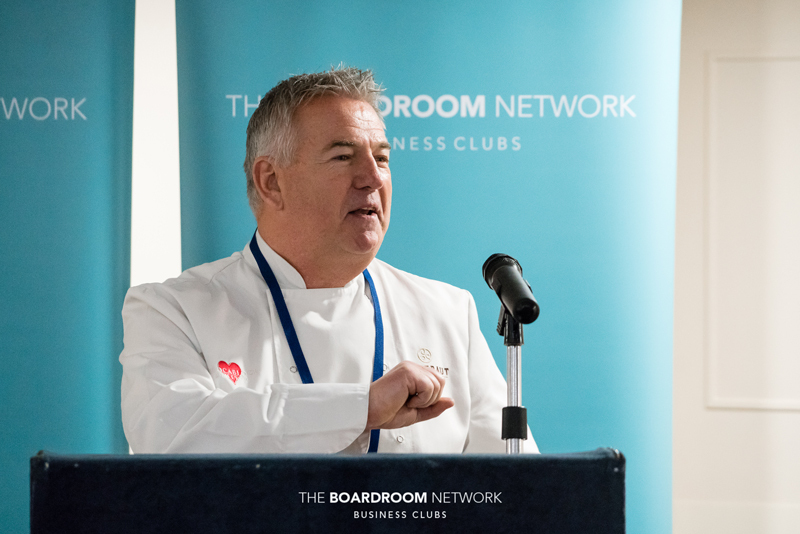 Chris Wilkinson gave us three golden opportunities to make the most of his expert HR solutions in facing the latest iterations in Human Resources and the recruitment market. Michael Collins, ex-Metracomical Police, enabled us to see how humour can bring a moment of light relief into times of great loss and catastrophe. If anyone can make ‘Disaster Planning’ sound like a pleasurable experience, it’s Sarah Bulter from Bark Financial Ltd.
As you can see from Sarah’s slides, we understand the value of having a robust business plan in place, but do we have a disaster plan? What if something happens that is outside our power to control? Sarah can help us build protection against those challenges we’d really rather not think about. The good news is that, once we’ve done the planning and put protection in place, we don’t have to think about it again until it is time to review the plan! Part of the process is to be pleasantly surprised to discover the resources we already have in place. Professionals like Sarah have an aptitude for finding financial resources that we are very likely to have missed. This is all part of a good planning process – to make the most of what we have, and then to put in place further provision to make sure we are not financially vulnerable, nor are we caught with our trousers down. 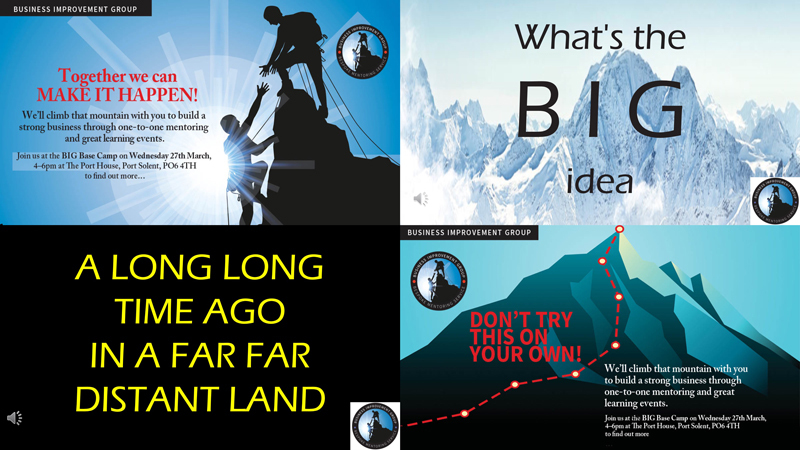 Ian Skinner is going BIG time into a new venture, an adventure of value to all members who are ready and willing to raise their game. 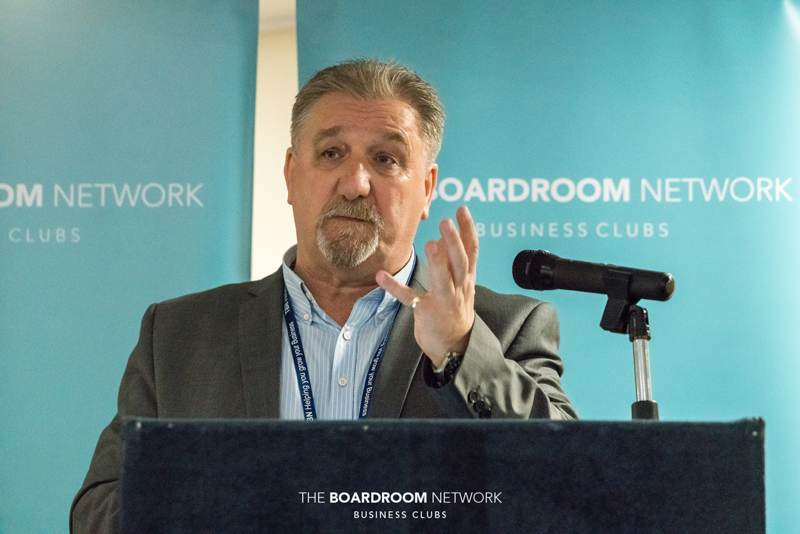 The launch of the Business Improvement Group on 27th March will give members access to group mentoring, and world-class training at an affordable price point. The surprise bonus that participants in these programmes share is the power of the peer group. 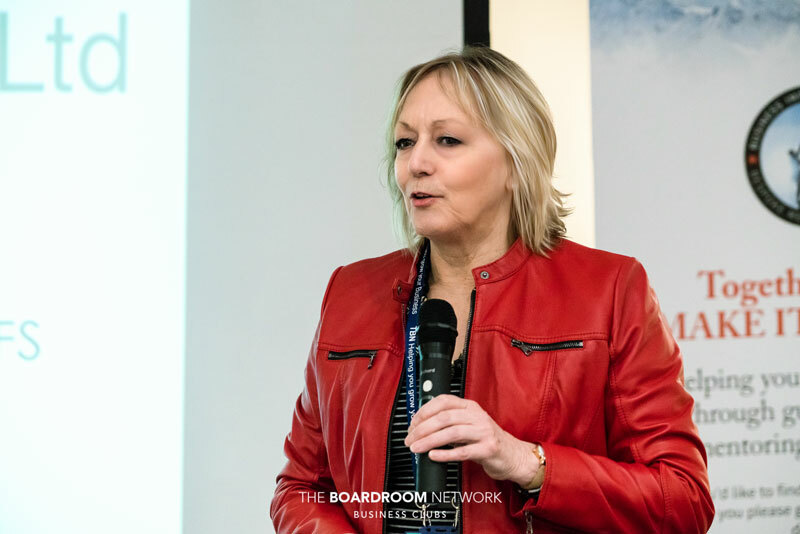 Yes, you will benefit enormously from one-to-one mentoring – it’s a key to peak performance – however, you’ll also be delighted by the way you can build a power-team when you spend enough time with like-minded, highly-motivated, and purpose-driven business professionals just like you. Join Ian (et moi) at The Port House, Port Solent, Portsmouth, on 27th March between 4 and 6 pm. Do let Ian know you’re coming! Whilst Justin won’t thank me for posting this image, it is, indeed a “Thank You!” for his amazing work… and an acknowledgement of his athleticism! 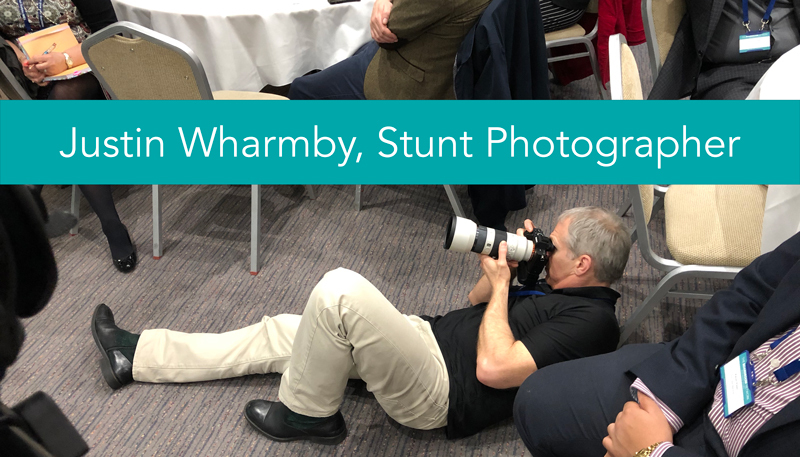 Not only could I not recover rapidly from the positions he gets into to get the best shot, I also wouldn’t want to roll around on the carpet. “Stunt Photographer” is an homage to Frank Zappa’s description of Steve Vai as his “Stunt Guitarist.” Come on Justin, hit me with your best shot! 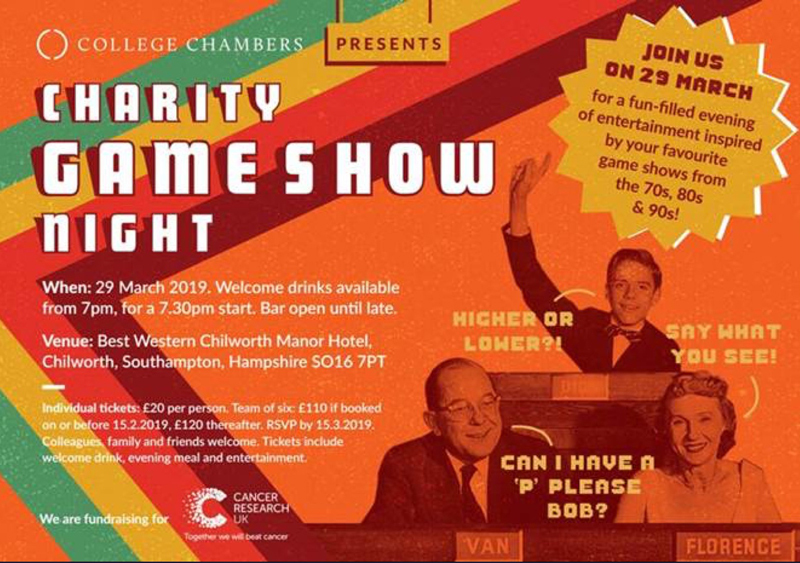 Here are the details of the Game Show Quiz Night – I do hope you can join us and support this worthwhile cause for Cancer Research. I’ll have a ‘P’ please, Bob! We are delighted to be able to offer the following to the first six TBN Members who apply. Please note members who are already Gold or Platinum retained clients need not apply as they get these as part of our service package to them. The recruitment market is currently very competitive; this package will benchmark what you are offering to your competitors on salary and benefits. It uses one of the largest such databases of about 2,500 businesses and 250,000 employees and can be localised potentially down to your town. The first six packages are offered free to TBN Members, thereafter at a 50% discount. All you need do is tell us the job title and your location, we will do the rest. Employment law is getting ever more complex this package compares what you have in place with both what the law requires, and what is considered best practice. It provides a detailed report so that you can make an informed decision about what you want to do. It uses one of the largest such databases of about 2,500 businesses and 250,000 employees and can be localized potentially down to your town. The first six packages are offered free to TBN Members, thereafter at a 50% discount. All you need do is give us about 10 minutes of your time on the phone or face-to-face, we will do the rest. Compliance with H&S is a requirement for every business. This package compares what you have in place with both what the law requires and what is considered best practice. It provides a detailed report indicating compliance and risk so that you can make an informed decision about what you want to do. It uses one of the largest such databases of about 2,500 businesses and 250,000 employees and can be localized potentially down to your town. The first six packages are offered free to TBN Members, thereafter at a 50% discount. All you need do is give us about 10 minutes of your time on the phone or face-to-face, we will do the rest. 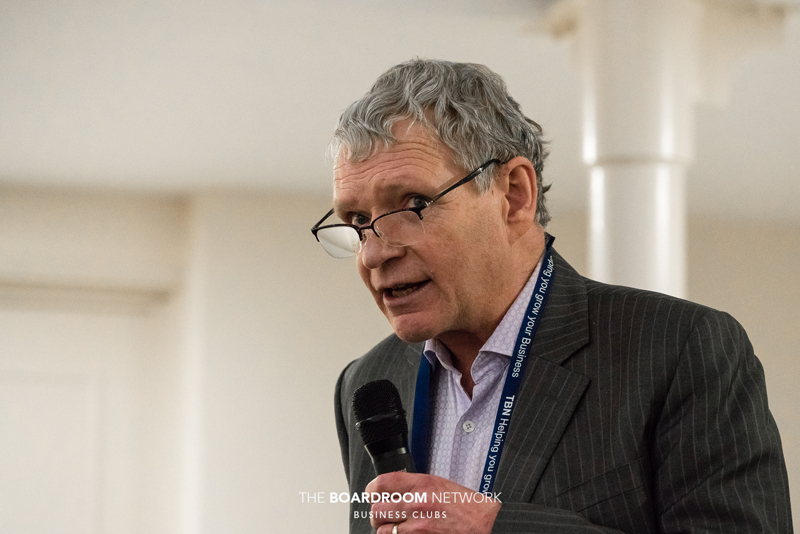 Addressing directly the most difficult of situations, Mick Collins, formerly of the Metrocomical Police, shared his experience of the Boxing Day Tsunami of 2004. The Met were part of the worldwide force that helped bring relief. Michael was specifically involved with the identification and repatriation of the bodies of our own citizens. In this touching tale, Mick tells us of how they traced and identified the body of Ethel’s husband, only then to have the body sent to New York instead of London. Sometimes tears can be tears of laughter even in Life’s cruellest moments!